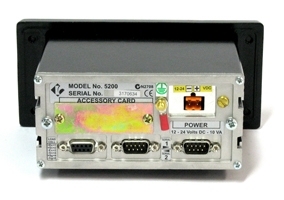 The Weighing Indicator 5200 is a general purpose controller that is ideal for check weighing and counting applications. A dual serial port is provided standard. Input/output, analogue and setpoint cards are available as an option depending on the installation requirements. The 5200 is trade approved in Australia and Europe. The following files are available for download for the 5200. Ensure you select the correct documentation for your unit’s software version. Check back regularly for software and other updates.